Information Technology (IT) professionals from thirteen SVRTC school divisions participated in Learning Tree’s Active Directory training the week of March 25-29, 2019 in South Boston, VA. This training was provided at no cost to the participants by Southern Virginia Regional Technology Consortium (SVRTC) and Longwood’s Institute for Teaching through Technology and Innovative Practices (ITTIP). 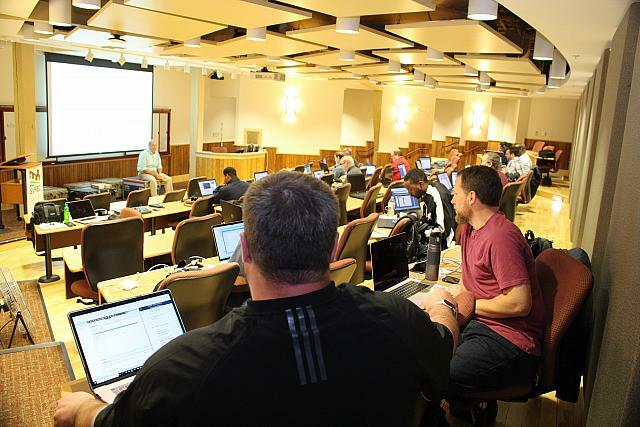 In the Active Directory training, participants had hands-on instruction and practiced administering Active Directory technologies. They learned how to better manage and protect data access and information, simplify deployment and provide more secure access to their division’s data. The participating school divisions were Brunswick, Cumberland, Charlotte, Danville City, Greensville, Halifax, Henry, Hopewell, Mecklenburg, Nottoway, Patrick, Prince Edward and Prince George.